What would many of our favorite foods be without onions? The bulbs are easy to grow in well-draining soil and come in a wide variety of colors and levels of flavor. 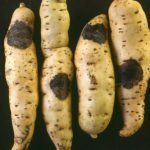 Unfortunately, onion mushy rot disease is a common problem with these vegetables. What is onion mushy rot? This is primarily a disease of stored onions that occurs post-harvest. It can severely reduce the edibility of the bulbs. Learn how to prevent this disease and save your stored Allium bulbs. What is Onion Mushy Rot? Onions are a prevalent ingredient in many recipes. Whether you sauté them, roast, boil, sear, grill or eat them raw, onions add zest and aromatic delight to any dish. Growing onions is pretty easy in well-draining soil with plenty of organic matter. Harvesting and storing onions properly will help keep the veggies for months. 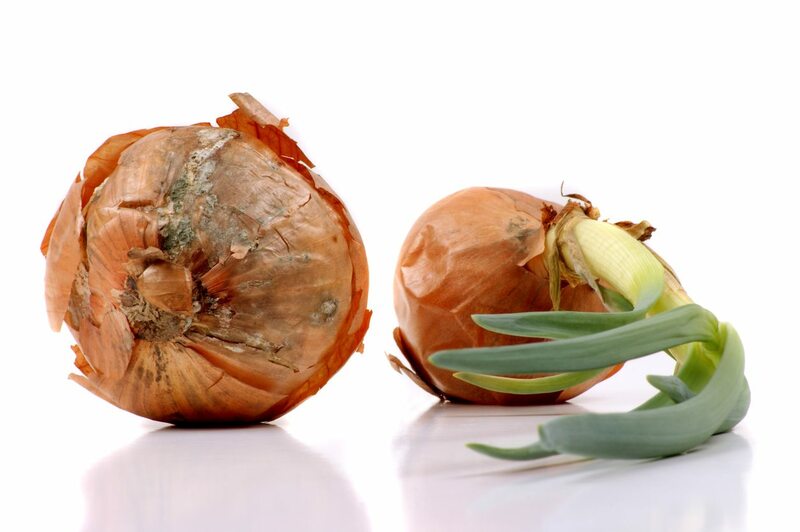 Mushy rot in onions is the Achilles’ heel of stored Allium. It will not only rot an infected bulb, but the disease spreads readily in storage situations. One onion with mushy rot can spoil an entire harvested crop. This is because the disease is caused by a fungus, Rhizopus microsporus. The latter part of the botanical name refers to the numbers of spores produced by this prolific fungus. Bulbs that have some sort of injury to them, which often occurs at harvest, are prey to the introduction of the fungal spores. Onions that are stored in high humidity and have not been properly cured are most often affected. The excess moisture provides a perfect breeding ground for the fungus which overwinters in soil. As a root crop, onions are directly exposed to the fungus but do not exhibit signs unless the protective exterior skin is penetrated. Early infection signs are slipped skin, followed by softening layers. In white or yellow onions, the layers become darker. 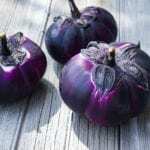 In purple onions, the color becomes deeply purple-black. Severely affected onions will smell fairly terrible over time. The odor of the onion will be at once pungently oniony but tinged with a sweet, offensive odor. Just opening a bag of onions and smelling the odor can often identify the disease before visual cues. If just one onion is infected, remove it and then wash all the others carefully. Lay them out to dry thoroughly before bagging or boxing them up again for storage. This should prevent the spread of this very contagious disease. Crop rotation can be of some benefit as the disease overwinters in soil and can also be harbored in leftover plant debris. Any form of Allium can become infected by the fungal disease, so rotations should avoid any member of the family planted in that area for at least 3 years. Careful handling and harvest are key to preventing mushy rot in onions. Any mechanical injury can introduce the spores to the onion but so can sunscald, freezing and bruising. Cure harvested bulbs in a single layer in a warm, dry location for at least 2 weeks before packing them for storage. Proper curing can reduce moisture content which encourages fungal growth. Store onions in a cool, dry location.